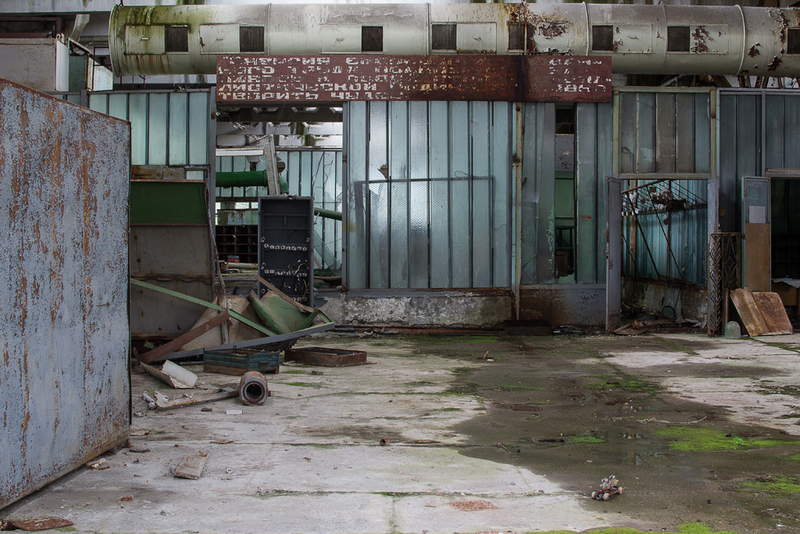 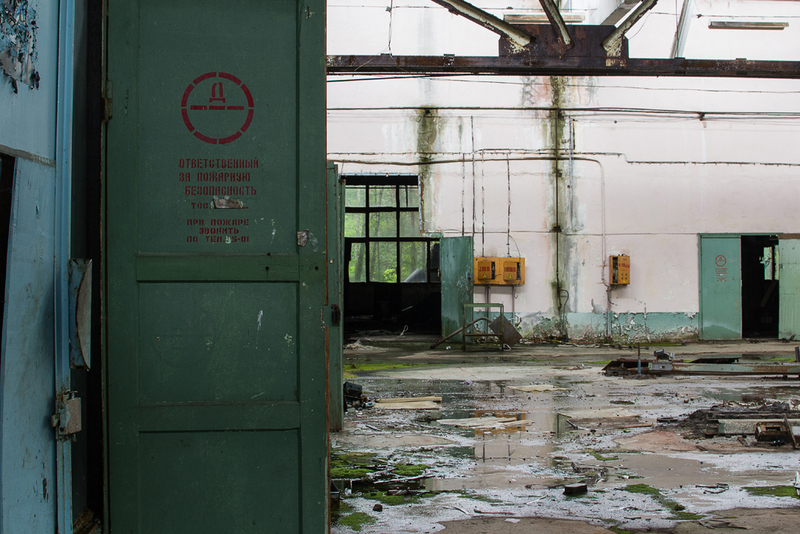 Following our lunch time Power Plant excursion it was time to head back into Pripyat. 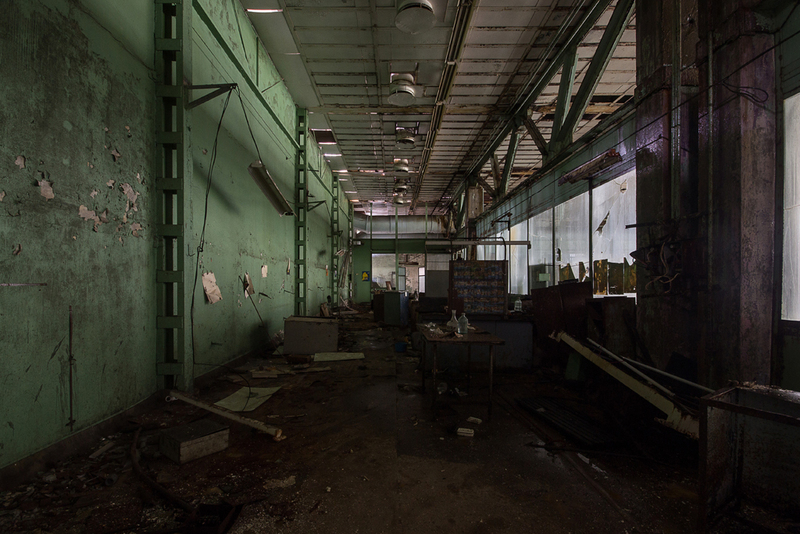 Our first stop of the afternoon was at the huge Jupiter Plant. 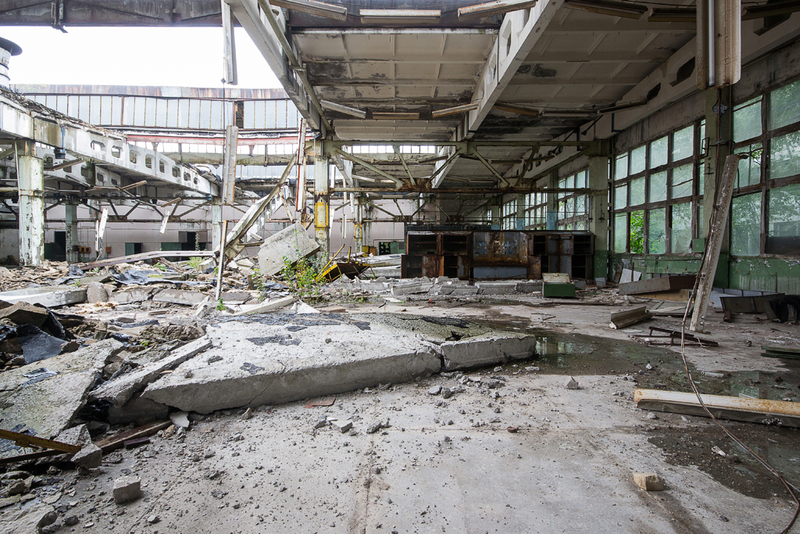 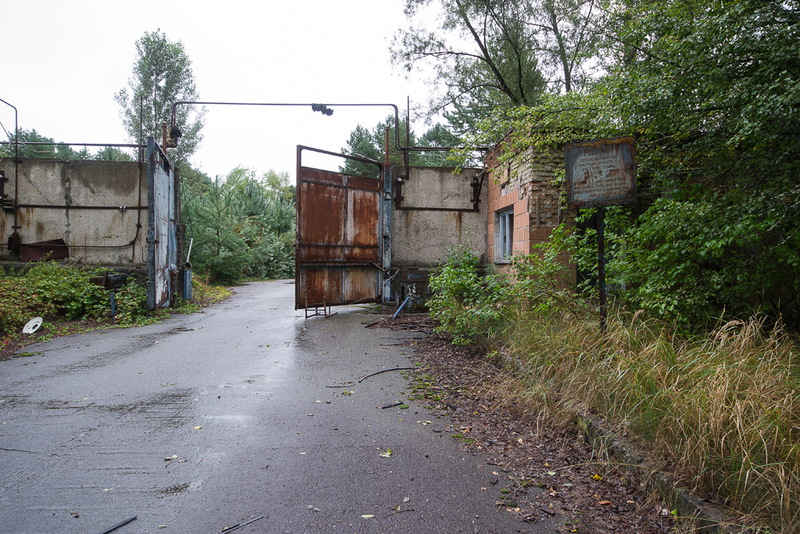 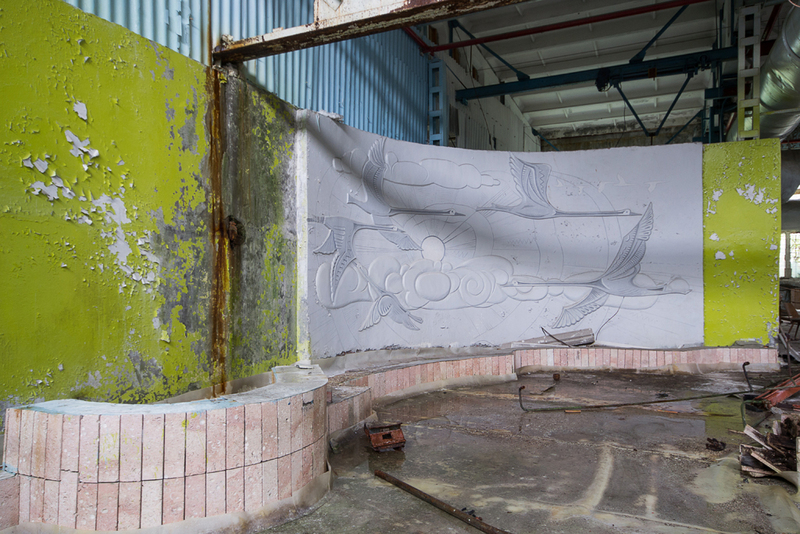 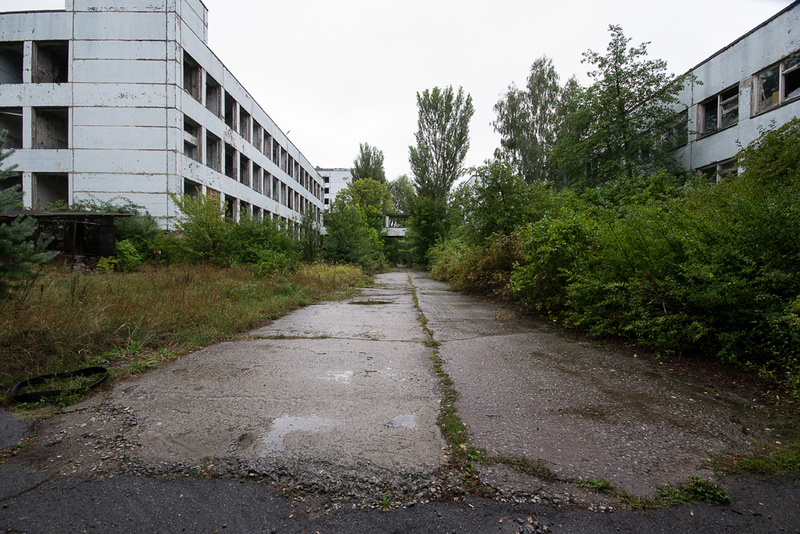 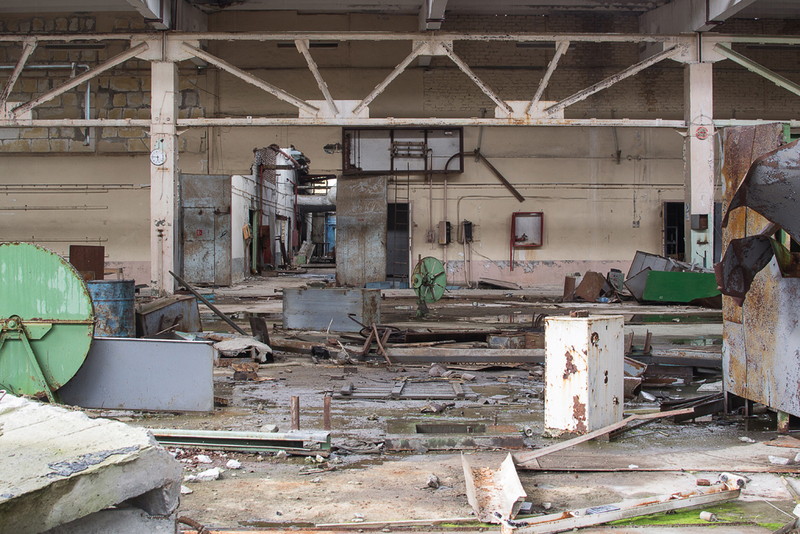 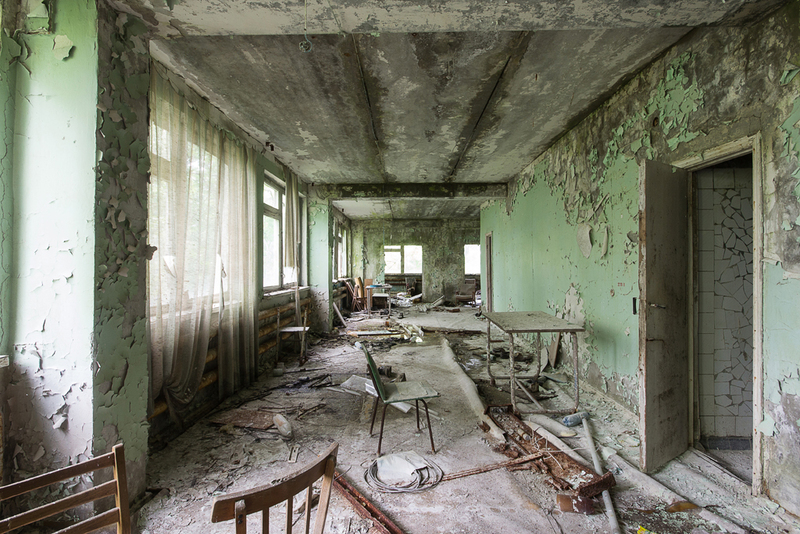 A large proportion of the population of Pripyat were highly educated, and it was decided to build a factory on the outskirts of the city to provide a secondary source of employment to those people alongside the Power Plant itself. 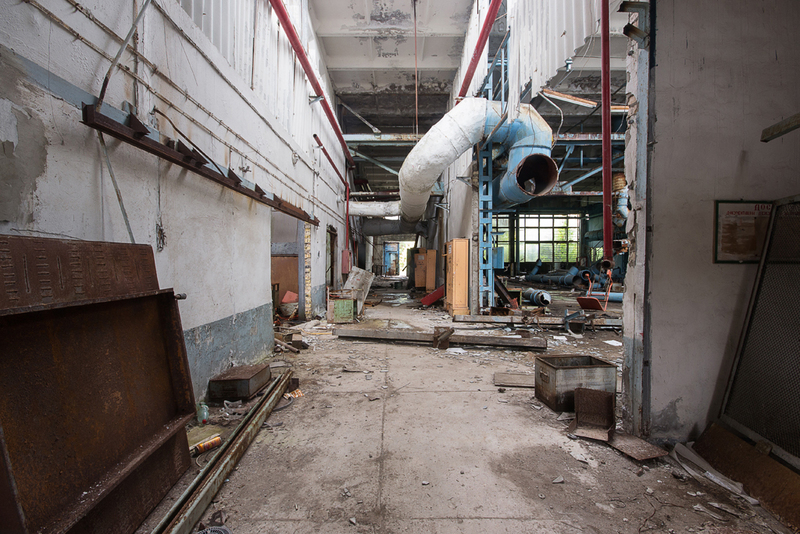 The factory was opened in 1980 and employed circa 3,500 people. 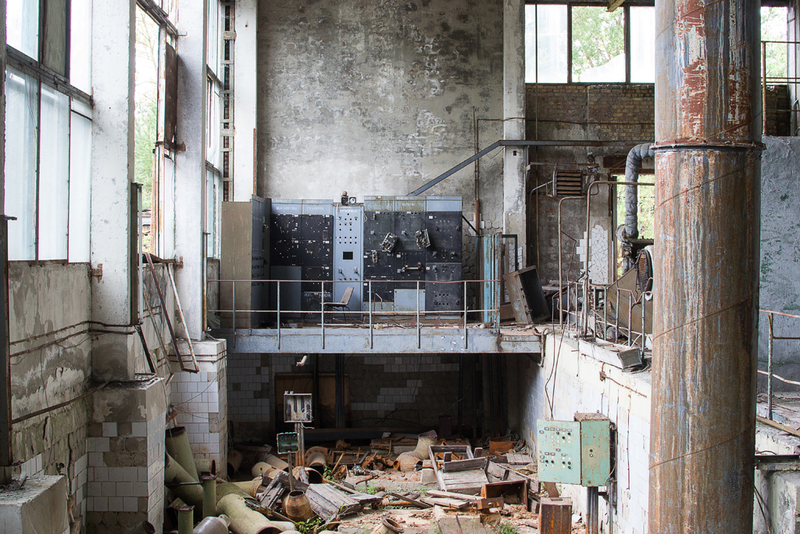 The official line was that Jupiter was part of the same organisation that operated the Lighthouse factory in Kiev which produced cassette recorders and electronics components for domestic appliances. 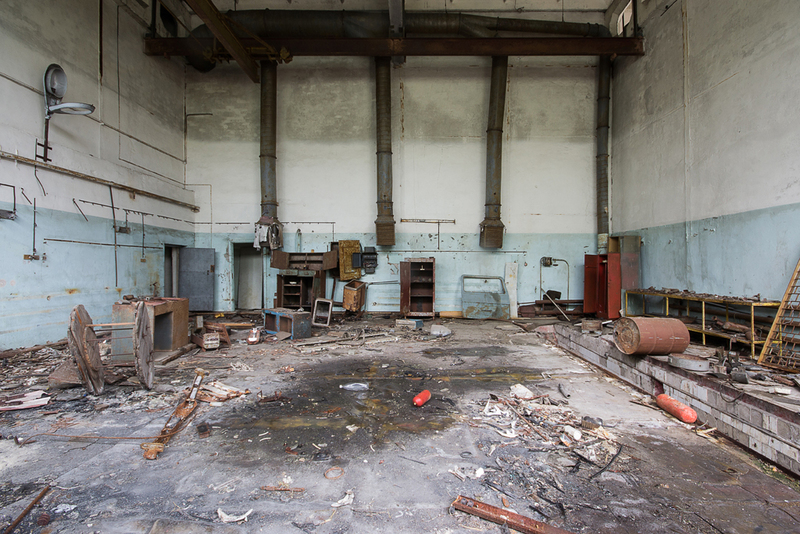 Of course as was often common place in the Soviet Union this was merely a cover for the real purpose of the factory. 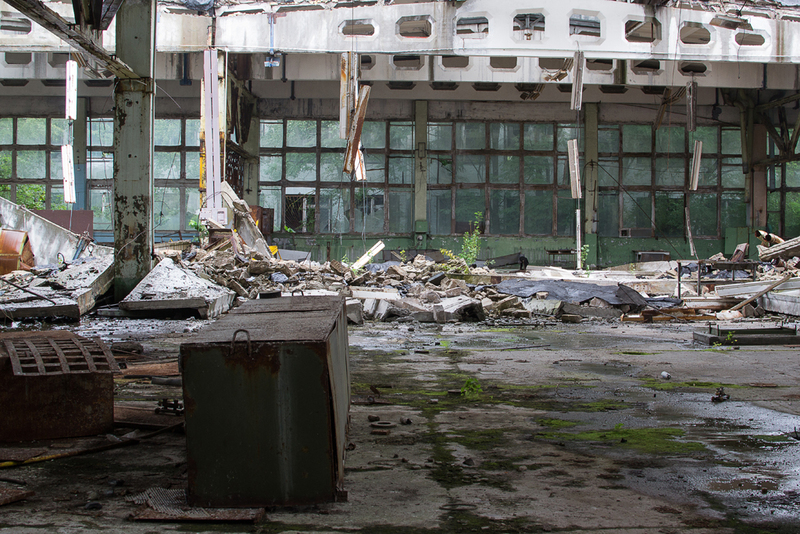 What was actually manufactured were semiconductor components for use in military applications. 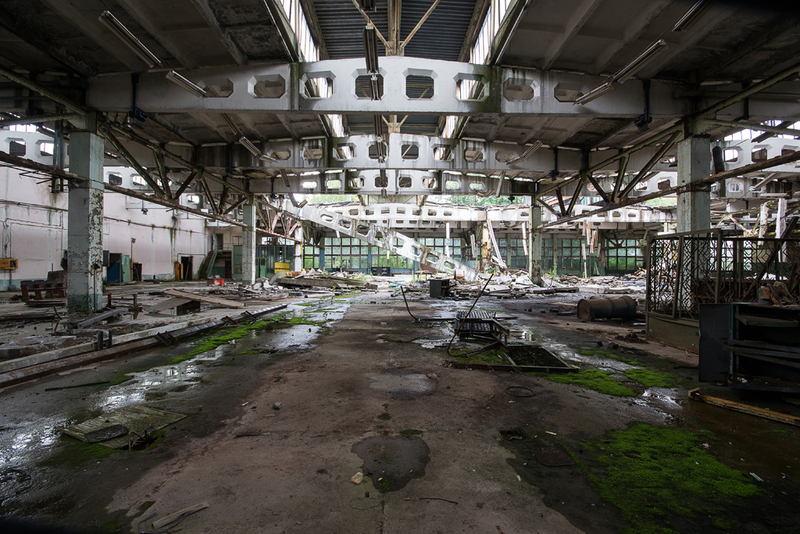 New synthetic materials and robotics systems were also produced from the factory. 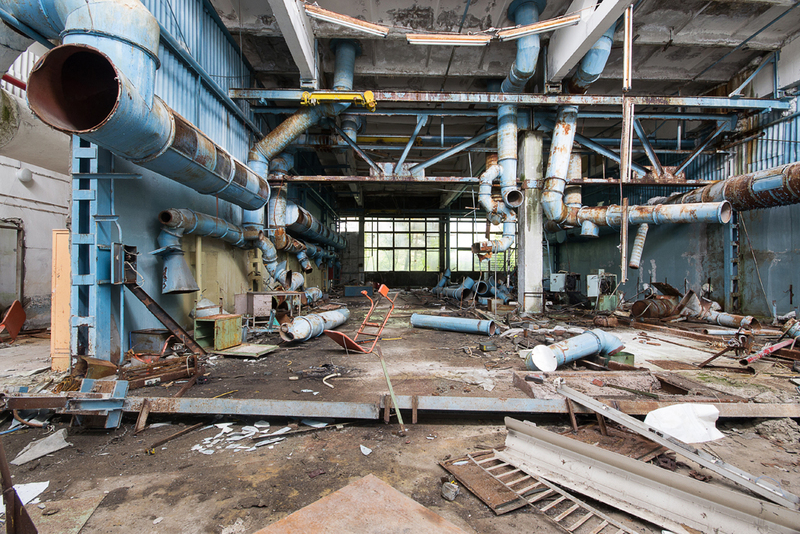 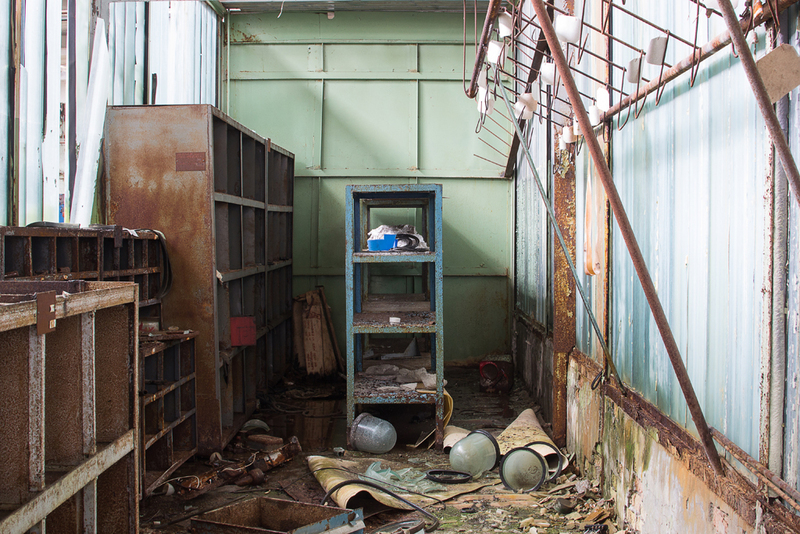 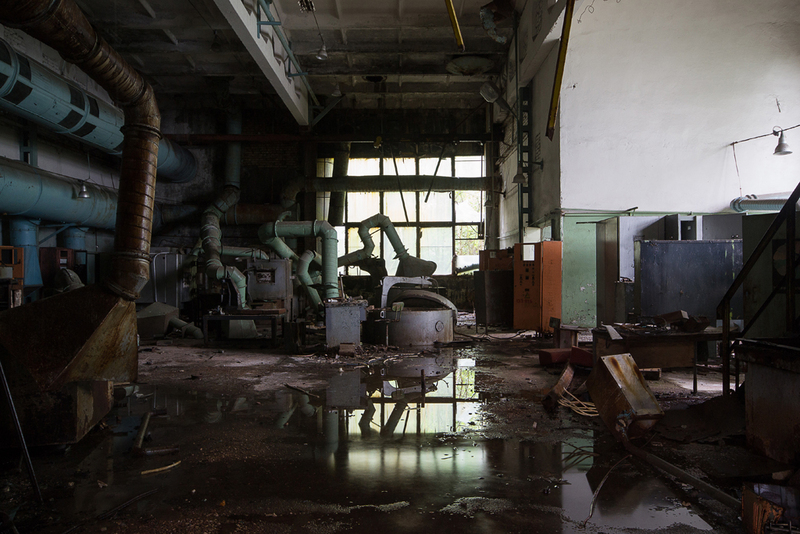 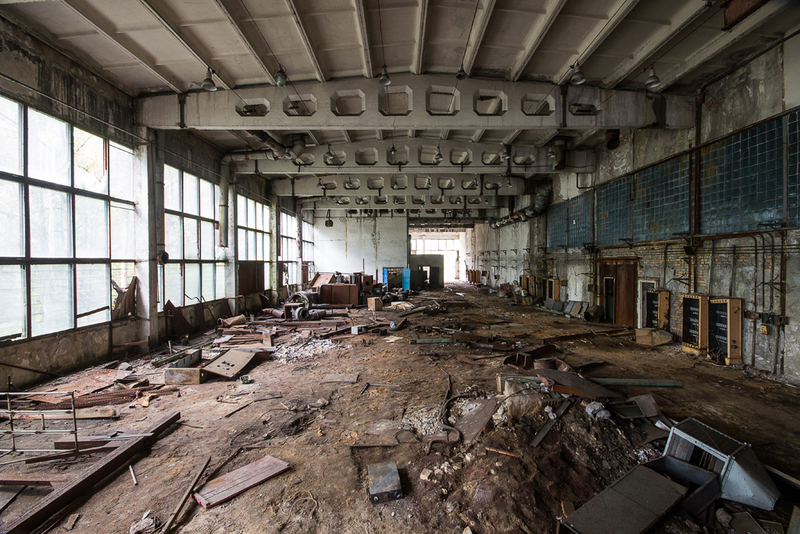 After the disaster in 1986 the factory was re-purposed as a radiological laboratory to work on new decontamination techniques and also to develop the dosimetric instruments that would be necessary during the clean up process. 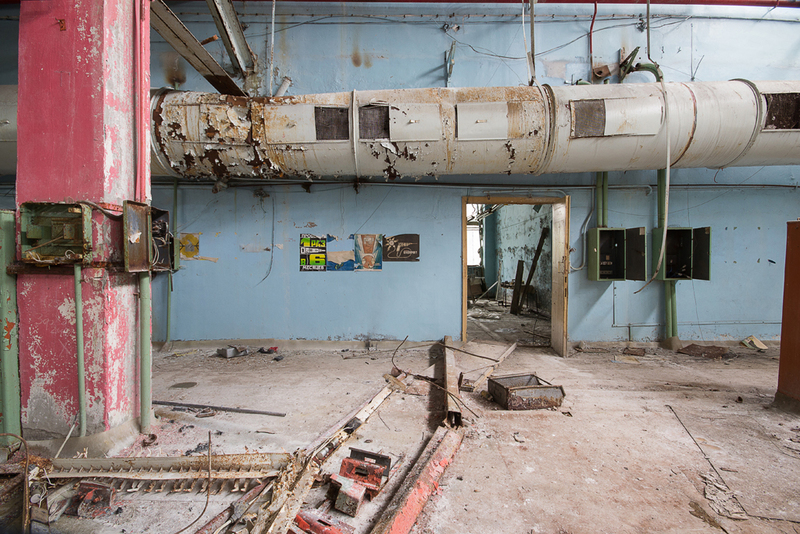 It continued to operate until 1996, when it was finally abandoned. 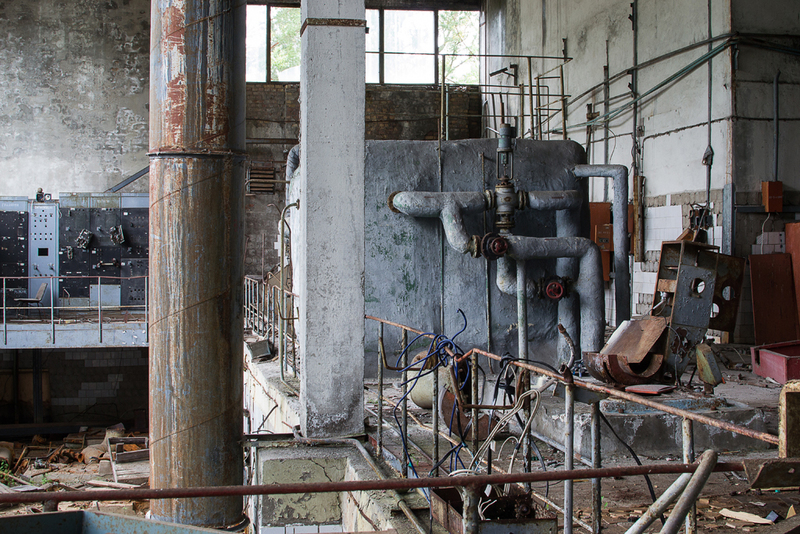 This was one of the kind of sites that was it back home it would of taken all day to explore, of course being in the zone and working to the clock we had little over an hour. 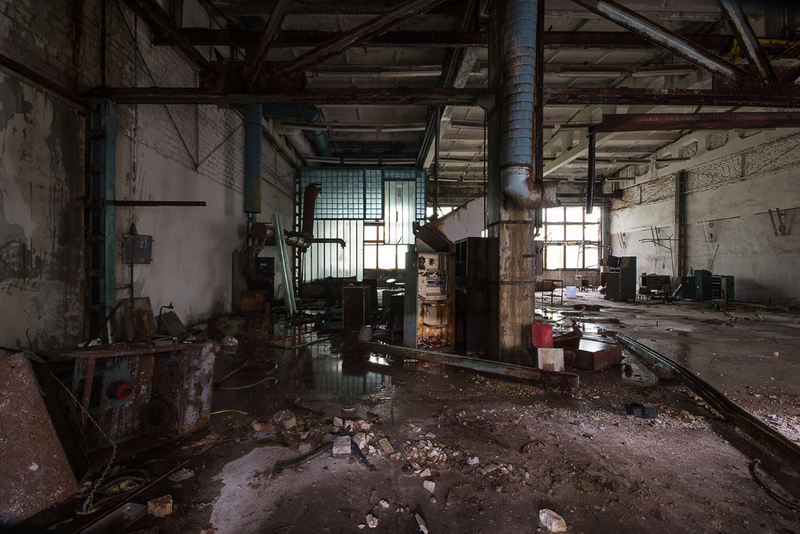 Industrial sites tend to be some of my favourites though, so I really enjoyed the time in here.